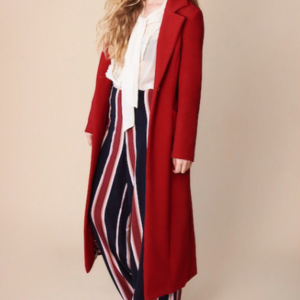 Hands up who’s excited to make the Rumana Coat?! 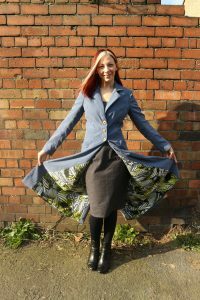 I have been itching to get my hands on this pattern since I knew it was coming out last August and we were fortunate enough that By Hand London agreed to work with us for February to have it as our featured pattern. 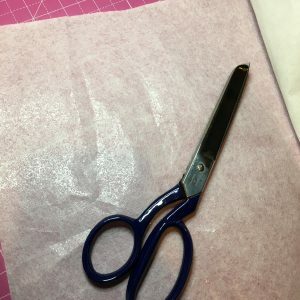 For those sewists who are fairly new to sewing, or coat making, I thought I would give you an idea of where to start when gathering supplies. Firstly, as this is a PDF only pattern, I would recommend printing via a copyshop. There are five AO sheets so, goodness knows how many if you were printing A4 at home! More power to you if you are up for that challenge, but I would much rather pay a few pounds extra and get someone else to do the leg work! 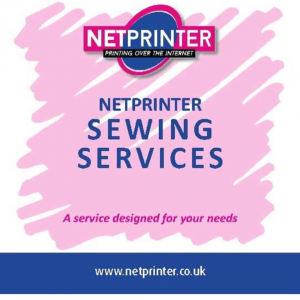 I personally use Netprinter, who are an online copy shop. I have used them for during 2017 and have never had any issues with them and find them super speedy. They do deliver internationally too. You can use the code ‘SEWMYSTYLE – Can I have my chocolate please?’ for an extra sweet treat with your order! 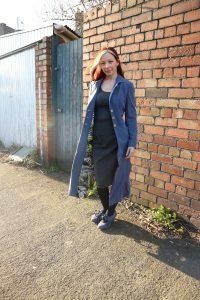 In the UK, we are still in the depths of Winter, so this is a great chance to break out the wool fabric. There are lots of lovely options out there and you can look at different wool blends with a fibre such as cashmere, for a more lux coat. 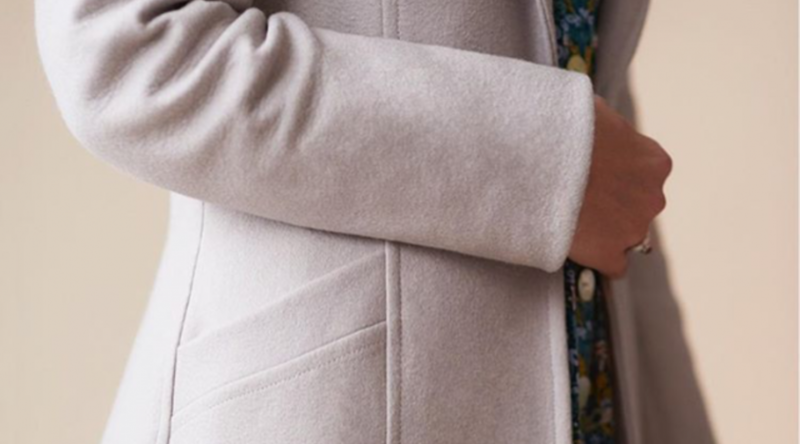 Of course, if you are in a warmer climate, or would like a lighter coat, you could opt for more of a linen mix. When I was shopping for wools, I found it much easier to shop in person. 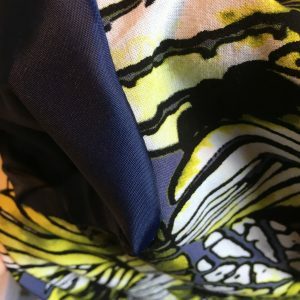 As the fabric tends to be more expensive, I really wanted to be able to see and feel the fabric to make sure I was 100 percent happy with it. Most online shops do offer samples though, if you do want to order online. 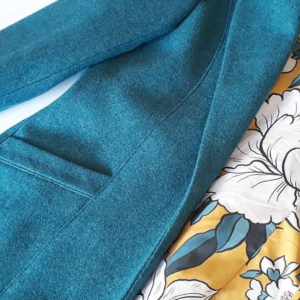 I love a colourful contrasting lining for a coat. It is mostly hidden but you get a flash of it, as you take it off. You can of course, use a more traditional acetate/polyester lining fabric and sometimes you can get them in a polka dot or similar pattern, however, they do tend to be quite plain. 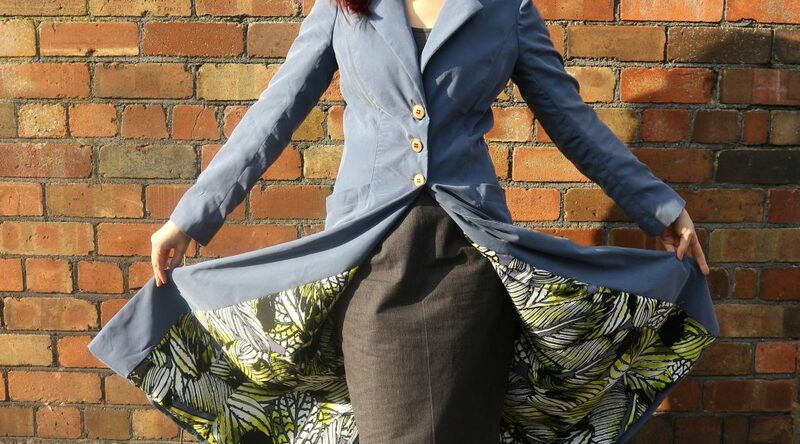 If you are looking for a patterned lining, I think a lovely cotton lawn or rayon would be perfect for the Rumana. I adore the contrast lining of this version by Cotton Reel Studio. One thing I would add, is that you should try and use something slinky on the sleeves, to allow you to get your arms in and out easily. 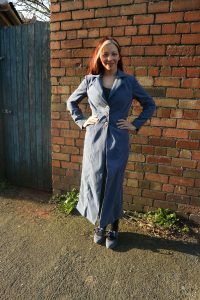 You can use something different to your main lining fabric on the sleeves, but if you are using a cotton lawn for the entire lining, it will make it harder to get the coat on and off if the sleeves are also cotton lawn. 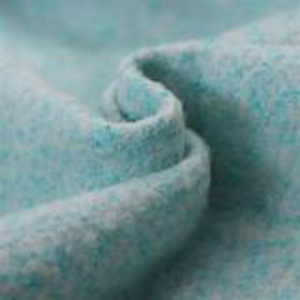 I always pre-wash my fabric before sewing, however, with wool, I am going to leave it, as I won’t be washing it when it is sewn up into the coat. I would simply spot clean or dry clean. There is also an option to put the wool into the tumble dryer with a damp towel, however, I haven’t tried that myself, so please don’t take my word for it! 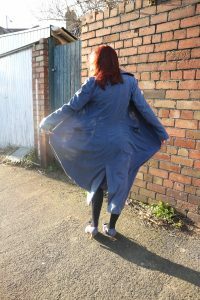 Lauren from Guthrie & Ghani has just done an excellent vlog on fabric care which you can find here. 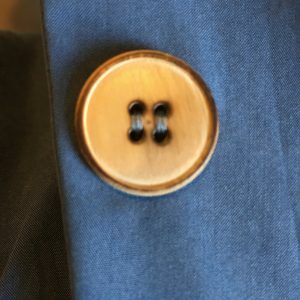 Consider adding a small fabric loop on the inside under the collar (stand). This will help no end when it comes to hanging the coat up! 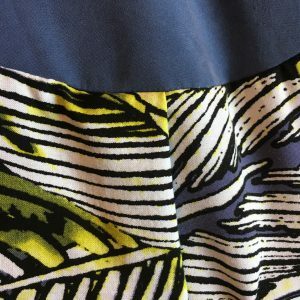 For a perfect fit, make a toile from a cheaper fabric before cutting into your main fabric. 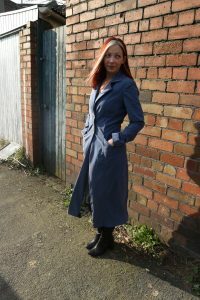 There are lots of areas that you can adjust the fit with this pattern – ie, the princess seams and the two part sleeves. You may find it easier to block fuse your fabric. To do this, simply apply interfacing to a section of your fabric before cutting out your pattern pieces. I find this much easier and quicker than cutting out the interfacing separately from the main fabric and then fusing them together. I can’t wait to see what everyone makes this month!